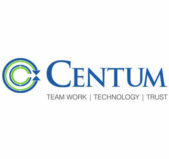 “Centum was founded in 1994 in Bangalore, India. Since then, Centum has rapidly grown into a diversified electronics company with operations in North America, EMEA and Asia. The company offers a broad range of products and services across different industry segments. It has continuously invested in strengthening its design & product development capabilities while developing deep domain knowledge in the segments it operates in. Centum has also established truly world-class manufacturing facilities with cutting edge infrastructure as well as a global supply chain capable of delivering products with high quality and reliability. A key contributor to Centum Group’s growth has been the strong relationships forged with international customers and partners. This customer-focused approach coupled with Centum’s culture hinged on the core-values of Technology-Teamwork-Trust has resulted in a track-record of high quality products & services and excellent execution ability. Today, the Centum Group’s offerings range from customized product design & development, manufacturing services and turnkey solutions for mission-critical applications. These solutions are offered through the key operating business units that work together to address the customer needs. Each business unit is led by a strong and experienced management team. CENTUM ADENEO ENGINEERING – This Business unit offers a wide range of engineering services to international customers to help them realize complex products and sub systems. It includes design, development, qualification, value engineering and many more. Flexible Engagement models such as consulting services, fixed-price projects or turnkey Build-To-Spec contracts allow customers to choose what is right for them and for the specific projects they manage. CENTUM STRATEGIC ELECTRONICS – The Strategic Electronics Business Unit designs, develops and manufactures customized, complex products for Defence and Space customers. Centum is a leading industry partner for India’s DRDO labs, Defence PSUs as well as the Indian Space Research Organization having delivered mission critical electronics on major missile, radar, electronic warfare & satellite applications. Centum’s unique microelectronics capability enables the development of lightweight, high reliability electronics for on-board applications. 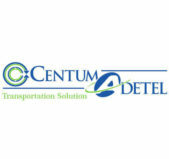 CENTUM ADETEL TRANSPORTATION SOLUTION – This business unit develops products for the rail transportation market with the goal of improving energy efficiency, security and real-time information access. The two key product lines are Energy Conversion & Storage systems and Passenger Information Systems. Centum Adetel has established a proven track-record of successfully deployed systems in the European, North American and Asian transport markets. CENTUM EMS – The Electronics Manufacturing Services business unit addresses high-technology high-complexity products in the defence, aerospace, industrial, medical and telecommunications segments. The offerings include Line Replaceable Units (LRUs), system integration, PCBA, test, environmental screening and repair & return services. This team also provides mechanical solutions to various requirements in the field of plastics and sheet metal for the industrial customers.